FOR CITROEN XSARA PICASSO 2.0 HDi. COMMON RAIL INJECTOR WASHER. Fits: FORD C MAX - GALAXY - MONDEO. AZXC - UKWA - QXWA - QXWD - QXWC -UFWP. G6DA - G6DB - G6DD - G6GD. RHF - RHR (DW10TED4). Engine Codes. Genuine VDO Parts. VDO - A Trademark of the Continental Corporation. Also the online tool will include any fixes for previous part compatibility errors. Vehicle Compatibility. Fast, friendly, knowledgeable, dedicated UK Based Support Team. Brand mew injector in sealed bag , without box. • Wide Selection of parts for your German Car at one place. We are also not responsible for installation errors, labour expenses, or any other expenses that may occur. ALL IMAGES ARE GENERIC, AND ARE USED TO ILLUSTRATE THE PRODUCT. Removed from: Range Rover Vogue 3.6 TDV8 2007. Item: N/S Left fuel injection rail. Part number: 6H4Q-9D280-AA. Removed from: Range Rover Vogue 3.6 TDV8 2007. Item: O/S Right fuel injection rail. Condition: In good used condition. Part Number: A2C59506218. BMW: 7506158. How long will it take to receive my item?. How much to send my order overseas?. Does this part fit my vehicle?. Faulty Goods. Unwanted Goods. Highlands and Islands. Equivalent Part Numbers: VDO: A2C59507596, DACIA: 8201041272, 166006212R, 166006526R, RENAULT: 8201041272, 166006212R, 166006526R, WILMINK GROUP: WG1756188. Injector Nozzle. 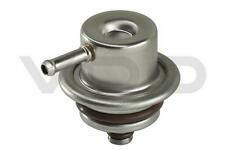 Engine Code: OM 607.951 | Engine Code: OM 607.951. VW FOX - 2005 TO 2012. COMPATIBLE VEHICLES: VW POLO - 2002 TO 2012. VW FOX - CHFA/CHFB/BMD. ENGINE CODES: VW POLO - AWY/BMD/BBM/CHFA. ALL IMAGES ARE GENERIC, AND ARE USED TO ILLUSTRATE THE PRODUCT. THE ITEM YOU WILL RECEIVE MIGHT BE DIFFERENT FROM THE ILLUSTRATION. Renault Kangoo II (2008-2015) 1.5 DCI K9K Check that part numbers match . All our used parts are fully inspected tested and cleaned prior to dispatch, and carry a minimum of 3 months warranty. If goods are faulty we reserve the right to Repair or replace them. JAGUAR S-TYPE PEUGEOT 2005-2009 2.7 DIESEL INJECTOR FUEL RAIL VDO. ITEM MUST NOT HAVE BEEN USED. Equivalent Part Numbers: VDO: A2C9626040080, AUDI: 03L 130 277 S, SEAT: 03L 130 277 S, SKODA: 03L 130 277 S, VW: 03L 130 277 S, WILMINK GROUP: WG1725840. Injector Nozzle. Engine Code: CAYC | Engine Code: CAYC. Removed from: Range Rover Vogue 3.6 TDV8 2007. Item: Passenger side Left fuel injection rail. Removed from: Range Rover Vogue 3.6 TDV8 2007. Item: Driver side Right fuel injection rail. Injector Nozzle. Engine Code: AHM (DW10FUE) | Engine Code: AHM (DW10FUE). Engine Code: AHN (DW10FUD) | Engine Code: AHN (DW10FUD). Engine Code: GBVAJQJ | Engine Code: GBVAJQJ | Production date to: 14.09.2015. Injector Nozzle. Engine Code: 8HX (DV4TD),8HZ (DV4TD) | Engine Code: 8HX (DV4TD). Engine Code: 8HX (DV4TD) | Engine Code: 8HX (DV4TD). Engine Code: 8HZ (DV4TD),8HR (DV4C) | Engine Code: 8HZ (DV4TD). Engine Code: F6JB,F6JD | Engine Code: F6JB. Removed from: NISSAN QASHQAI 1.5 DCI TEKNA 2WD 6 SPEED MANUAL 2008. Arran - KA27 KA25. Oban - PH 33, PA20-49, PA60-80, KA28. Inverness - ALL. Shetland ZE1-3. Orkney KW15-17. (for orders sent via TNT, DPD or Palletways). Equivalent Part Numbers: VDO: A2C59513484, BLUE PRINT: ADN12802, DACIA: 8200903034, 16 60 043 05R, 16 60 080 52R, NISSAN: 16600 00Q1F, RENAULT: 8200903034, 16 60 043 05R, 16 60 080 52R, WILMINK GROUP: WG1756203. Injector Nozzle. Engine Code: HCPA,HCPB,P9PA,P9PB,P9PC,P9PD,R3PA,RWPE,RWPF | Manufactured After: 8/ 2006 | Engine Code: RWPF, HCPA, HCPB | Engine Code: R3PA, P9PD, P9PA | Engine Code: P9PC, P9PB, RWPE. Fuel Type::Petrol. 12 months warranty on all orders. You'll have the part ASAP. We will always attempt to rectify the issue as fast as possible! Eg, Vetech, Erst Klassig, Franzen, NK, etc. With this in mind, we will indicate what type of product you are looking at within the following guidelines. Injector Nozzle. Engine Code: HCPA,HCPB,P9PA,P9PB,P9PC,P9PD,R3PA,RWPE,RWPF | Manufactured After: 8/ 2006 | Engine Code: RWPF | Engine Code: HCPA | Engine Code: HCPB | Engine Code: R3PA | Engine Code: P9PD | Engine Code: P9PA | Engine Code: P9PC | Engine Code: P9PB | Engine Code: RWPE. Equivalent Part Numbers: VDO: A2C59513553, FORD: 7H2Q9K546CB, LAND ROVER: LR006496, LR008837, SMPE: 87326, DI646, VEGE: 10254940, WILMINK GROUP: WG1756204. Injector Nozzle. Engine Code: 276DT | Engine Code: 276DT | Chassis no. Injector Nozzle. Engine Code: RHK | Engine Code: RHK. Engine Code: RHK (DW10UTED4). This information is direct from the part manufacturer, we do not own this data and cannot confirm it's accuracy or edit the data. 1 x AT injector incl. copper sealing ring O-ring BOSCH test report supplied. C5 III (RD_) 1.6 HDi 110. C5 III break (TD_) 1.6 HDi 110. Injector manufacturer applicable part number: 5WS40677. 1791017 FORD. II C3 1.6 HDi 110. 1.6 HDi 115. 308 CC 1.6 HDi. 308 II 1.6 HDi. 1.6 HDi / BlueHDi 115. C3 Picasso 1.6 HDi 110. 308 SW 1.6 HDi. 1.6 HDi AWC. Ausländisches Produkt Nein. Old mortgage of part of deposit. Baugruppe Motorteil. Le dépôt est Reto urn après la réception of the old part. 4 x AT injector incl. copper sealing ring O-ring BOSCH test report supplied. Injector manufacturer applicable part number: 5WS40677. 1791017 FORD. 1812616 FORD. PROFESSIONAL SET! TOP QUALITY! Including security deposit. Forced Inducted - E85 130 AWKW (approx.). ORIGINAL INJECTOR SPECIFICATIONS:-. OE Injector Flow 440cc. OE Injector Style Top-Feed. OE Injector Length Full Length. OE Injector Upper O-Ring 11mm. OE Injector Lower O-Ring Square Section Seal. CITROEN C1 (PM_, PN_) 1.4 HDi 06-2005 -. CITROEN C2 (JM_) 1.4 HDi 09-2003 -. CITROEN C3 I (FC_) 1.4 HDi 02-2002 -. CITROEN C3 Pluriel (HB_) 1.4 HDi 04-2004 -. E7 / 1348623 / 2S6Q-9F593-AC /. CITROEN/PEUGEOT 1980. VDO Fuel Injector For BMW 330Ci E46 M54B30 6 Cyl MPFI USEDINJ-187-5. 2003 - 2005 BMW 530i E60 M54B30 6 Cyl MPFI. VIEW ALL CATEGORIES. RUNNING GEAR. ADD TO FAVOURITES. PEC AustraliaX CLOSE. We are here to help. VDO Fuel Injector For BMW X5 E53 M54B30 6 Cyl MPFI USEDINJ-187-3. 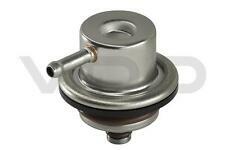 2000 - 2005 BMW 330i E46 M54B30 6 Cyl MPFI. VIEW ALL CATEGORIES. RUNNING GEAR. ADD TO FAVOURITES. PEC AustraliaX CLOSE. We are here to help. Forced Inducted - E85 145 AWKW (approx.). 1xNew VDO 650cc E85 Fuel Injector For Ford FPV F6 Tornado Cobra BF BA 5.4L. 8x New BOSCH 550cc E85 Injectors &FuelRail Setup For Holden HSV Senator 5000i VP. NormalIy Aspirated - E85 360 RWKW (approx.). Forced Inducted - E85 275 RWKW (approx.). Normally Aspirated - E85 195 RWKW. Forced Inducted - E85 145 RWKW. ORIGINAL INJECTOR SPECIFICATIONS:-. OE Injector Flow 312cc. NormalIy Aspirated - E85 205 RWKW (approx.). Forced Inducted - E85 155 RWKW (approx.). 8x BOSCH 550cc E85 Fuel Injector Setup For Holden Statesman WH WK WL 5.7L 8cyl. 8x New BOSCH 725cc E85 Injectors & FuelRail Setup For Holden HSV Maloo R8 LPG VE. Forced Inducted - E85 190 AWKW (approx.). 6xNew BOSCH 2200cc E85 Fuel Injector Setup For Nissan Patrol GQ Y60 4.2L 6 Cy. 4x New BOSCH 725cc E85 Fuel Injector Set-up For Nissan Dualis J10 2.0L 4cyl. NormalIy Aspirated - E85 255 AWKW (approx.). Forced Inducted - E85 190 AWKW (approx.). ORIGINAL INJECTOR SPECIFICATIONS:-. OE Injector Flow 260cc. OE Injector Style Top-Feed. OE Injector Length Full Length. Size: 650cc. 6xNew BOSCH 1550cc E85 Fuel Injector Setup For Holden Commodore VS 3.8L S/C V6. Impedance: High. O-ring: 14mm. 1x New TOP QUALITY Fuel Injector Repair Kit For Toyota Celica MR2 ST162 SW20.